Welcome to the Teaching Space Podcast coming to you from Guernsey in the Channel Islands. Hello. It's Martine here and welcome to Episode 22 of the Teaching Space Podcast. 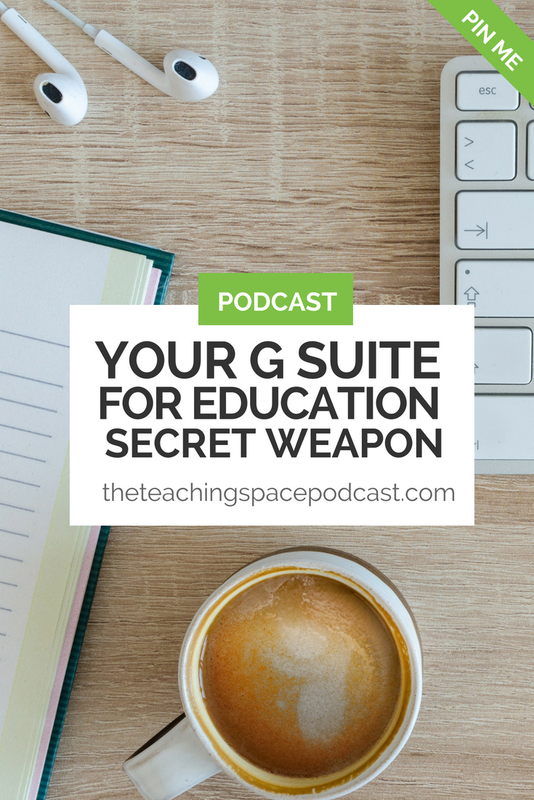 Today's Episode is called is Your G Suite for Education Secret Weapon. And I should add that if your school or college isn't a G Suite for Education organisation you can still make use of this secret weapon as long as you have a Gmail email account. So what is it? I know you're dying to ask. It's Google Keep. People talk all the time about Google Docs and Google Sheets and Google Classroom and rightly so. They are amazing tools. Nobody seems to be mentioning Google Keep and I just can't understand why. Google Keep is part of the Google apps suite you get with G Suite for Education and G Suite Basic and all other types of G Suite. It's web-based and available across different platforms with apps and actually there's a Chrome extension as well so Google Keep is very accessible and if you use Google Keep on one device it syncs to your other device. So it's a traditional Google app in that sense. But what does it do? Google Keep is for note-taking. It is a brilliant way to take digital notes and these can be Post-It sized notes to long notes from meetings and things like that. You can also it to create checklists so to do lists or shopping lists, that sort of thing and you can check them off. You can create reminders in Google Keep which is a brilliant feature. These reminders can be based on time or even more amazingly location. You can utilise GPS so that reminder will go off when you reach a certain location. That's amazing. You can also create notes using images or drawings. If you just want to doodle a concept down and you're on your mobile device you can do that with a finger which is great. And you can take audio notes which again, on a mobile device is really useful. When you open Google Keep it can look a bit overwhelming 'cause you've just got notes everywhere. But it's easy to get organized. You can use labels or hashtags for organization. You can also colour code which for me ticks a lot of boxes, I do like to colour code. Other nice features include the fact that you can copy the content from a Google Keep note directly to Google Docs. Obviously, because it's a Google tool it plays beautifully with any other apps in the Google suite of apps. You can open Google Keep directly within Google Docs as well. And I'll explain in a bit why that can be handy. As with all Google tools, collaboration is very simple in Google Keep and another nifty feature is the grab image text option in your notes. If you put an image of some typed text and if it's linear you can turn it into editable text which is really clever. It doesn't work very well with handwriting but with typed linear text, you can convert that image into actual editable text. This is a really interesting feature. It's a bit tricky for me to explain how you use Google Keep on an audio podcast. It's definitely something that's far better explained in video. I've found a fantastic video on YouTube that goes through the best ways to use Google Keep and shows you everything you need to know as a teacher. You can find this below. How do you find this magical, secret weapon then? Well, the easiest way is to fire up your Google Chrome browser and go to keep.google.com or you can use what we Google trainers like to call the waffle which is your shortcut menu to all of your apps. Now you know Google Keep is awesome, let's talk about ways teachers can use Google Keep. I've done a quick brain dump and I've come up with the following ideas. You could use Google Keep for planning, storing useful website links, storing research, comment banks, I'll come back to that, whiteboard image capturing and read it later article capturing. Let me just elaborate on two of those. When I say comment banks, what I mean is when you're giving electronic feedback on assignments which are created in Google Docs, if you find there are feedback comments that you are repeating on a regular basis, then you can store them in Google Keep and you can go into Google Docs and you can open up the Keep notepad from within Google Docs then you can copy and paste from Google Keep directly into Google Docs. And that's a really good way of saving time when writing feedback on assignments. Now just to be super clear, I am not suggesting that all of your feedback comments on assignments should be templated. That's not appropriate. However, there are always going to be comments you use on a regular basis. So why not set up a comment bank or feedback comment bank in Google Keep? Then you can open your Google Keep up within Google Docs, copy and paste across. When I mentioned earlier read it later article capture what I meant was if you are online looking at interesting education articles for example and you come across a few that you think I'd really like to take some time to read those articles later, what you can do is you can send the articles directly to your Google Keep is you make use of the Google Keep Chrome extension. So this is using your Google Keep in a similar way to how apps like Pocket on Instapaper work. It's a really nice way to manage your time so you don't get kind of lost in that internet bubble where you're just browsing for something specific and you find something else that's interesting and something else. If you send those things to Google Keep, you can read them later. The other thing to mention of course is that Google Keep can be a really handy tool for students. I'm thinking things like planning assignments, writing lists of things they need to remember, writing deadlines. But the reminder function could be particularly useful for them. So once you've mastered Google Keep then why not contemplate helping your students be more productive by using this really cool tool? 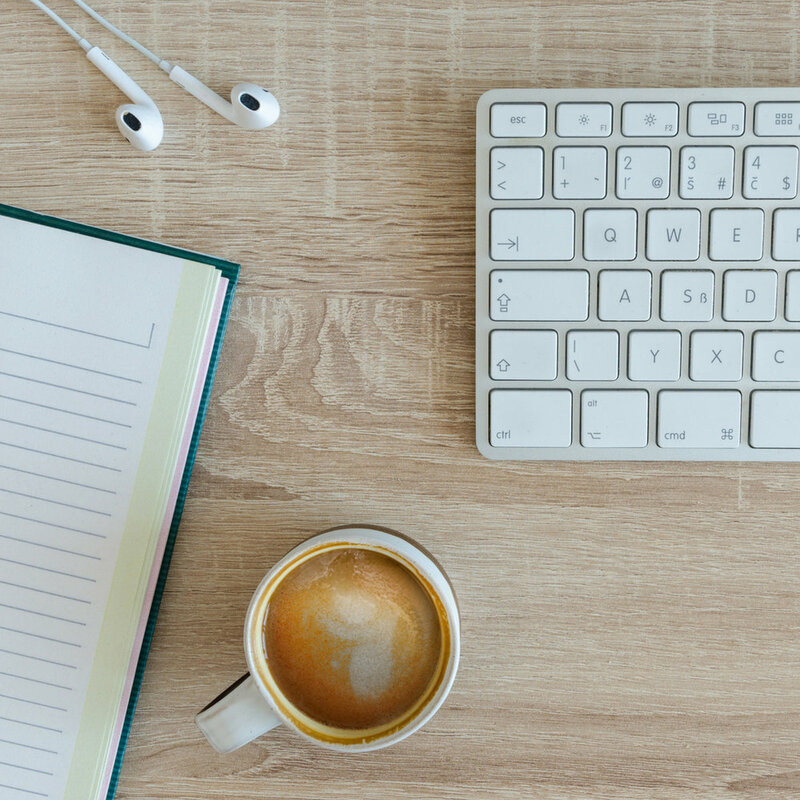 If Google Keep isn't for you there are lots of alternative note-taking apps available. A really popular one if Evernote but there is a cost attached to the full version of Evernote. For Microsoft users, there's OneNote. And there are some others on the market, for example Bear is a really nice looking app for taking notes. I use Notability sometimes for storing PDFs that I want to annotate so I kind of class that as a note taking tool as well because you can create document and type notes. All of that said, if you are looking for simplicity and you are already in the Google ecosystem then you can't do much better than Google Keep in my opinion. And those are my thoughts on Google Keep. Like I said, I think it's one of Google's best-kept secrets. I really don't know why there aren't more people raving about it. So tell me, do you use Google Keep? Do your students use Google Keep? If you don't, will you consider having a go? I'd love to know. Please consider hopping into the Teaching Space staffroom which is our closed Facebook group and tell me what you think. I'd love to hear from you. Right, so that's it from me today. Thank you so much for tuning in and I hope you'll join me next time.